Dunwoody's two-color palette is strong and widely recognized, so the ad campaign maintained these colors with a heavy emphasis on whitespace to create the friendly and open-minded messaging. 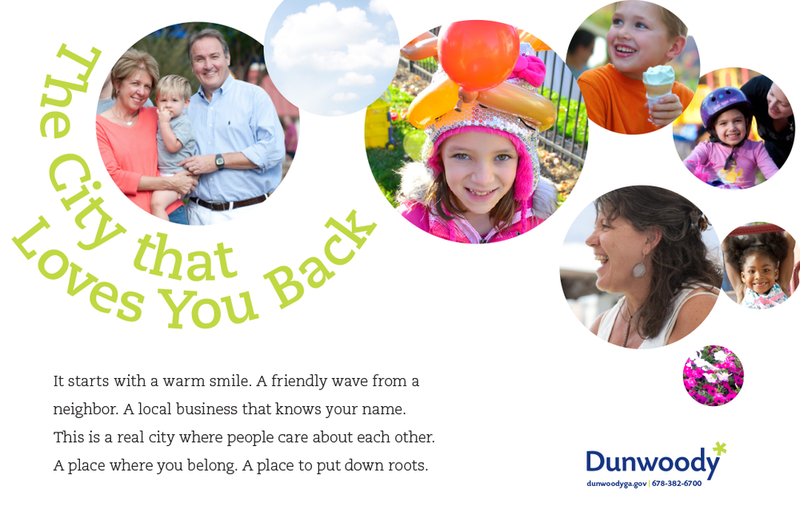 Working with the existing Dunwoody brand as designer with my previous agency, I came up with the ad campaign for the 2014 year, copywriting the headlines and designing the layouts that would speak to the two main target audiences: residents and businesses. The ads were designed around the bubbly welcoming spirit of this city, feeling like a small town but being a bustling center for commerce. By emphasizing bright, authentic photography that paired well with the brand's colors on a clean white page, the ads spoke to the true nature of this city being a place to belong and grow. In addition to magazine ads, animated ads were also made in two ratios to place online, specifically to reach the business audience.